Throughout, there is a very distinct and multi-cultural feel, evident in the local language, culture and cuisine. A richly preserved regional heritage reveals a complex and tumultuous past; visit colossal archaeological sites like Aquileia, with its remains of a Roman city and early Christian cathedral; mediaeval Udine, full of artistic masterpieces, and the restored fortress town of Venzone, reflecting the Renaissance Utopian ideals of a bygone era. The area is one of outstanding natural beauty too. With the dramatic limestone peaks of the Julian Alps providing a formidable backdrop to your route, it's picture-postcard views all the way through lush forests, rolling meadows and pretty hamlets hemmed in by well-tended vineyards and shimmering mountain streams. On your final cycling stretch, the Adriatic seascape opens before you as you make a dramatic descent across the lagoon and on to the sun-kissed island of Grado with its sandy beaches lapped by crystal-clear waters. The places we've chosen for you to stay in are among the best in the region. 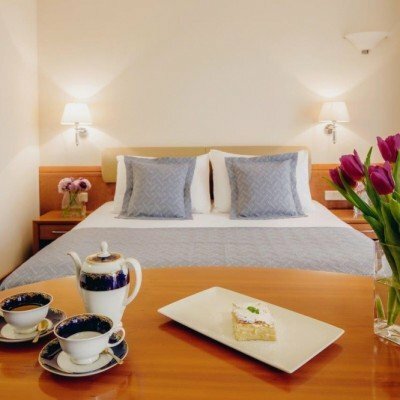 Hotel highlights include beautiful lakeside views from the luxurious 4-star Hotel Triglav in Bled; an alpine lodge in Tarvisio, and the 4-star Grand Hotel Hannover overlooking Grado's pretty harbour and just 200m from the Adriatic Sea. Arrive at your stunningly located 4-star hotel overlooking Lake Bled, its romantic island and mountains beyond. Time for a refreshing dip, sauna or massage before sampling chef Andrej Rovan's gastronomic cuisine - we promise that dining here for the next 2 nights will be a real treat! Your circular warm-up ride takes you first along the shore of Lake Bled and then through a series of sleepy Slovenian hamlets and on to C12 Kamen Castle. Explore its Gothic and Renaissance keeps, and climb the preserved Roman tower - great views from the top. Picnic at the peaceful Zavrsnica Reservoir then cross the white-water Sava Dolinka River back towards Bled. We strongly recommend the short uphill detour to its castle - the oldest in Slovenia - with towers, ramparts, moat and viewing terrace. After breakfast, we take you (25 mins) to Mojstrana, a gateway village to the Triglav National Park. You can almost reach out and touch the jagged limestone pinnacles of the Julian Alps on the one side, and the contrasting rolling hills of the Karawanken mountains on the other, as you start your cycle west through the valley. Birdlife here is prolific so look out for eagles, hawks and rare birds of prey as you approach charming Kranjska Gora, a pretty alpine ski village and fantastic lunch spot. 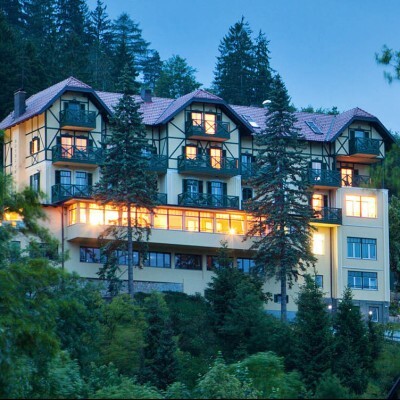 A pine-scented stretch then leads you across the border and down to the gorgeous 4-star Hotel Edelhof, just 5 minutes' walk from the village centre. Widely regarded as the 'jewel in the crown' of the Julian Alps, the twin glacial lakes of Fusine are breathtakingly beautiful. Alternatively, if you're up for a longer cycling challenge, it's an exhilarating ride over the border to the Austrian alpine town of Arnoldstein where a chairlift whisks you to the tripoint where Austria, Italy and Slovenia meet - a fabulous experience and undoubtedly one of the best photo opportunities of the week! A longer but totally undemanding cycling route today packed with interest, colour and natural beauty. After a 400m descent (great fun!) into the wooded Fella Valley, your traffic-free cycle trails wind through cheery mountain communities - often criss-crossing the river below - en route to Venzone, a jaw-droppingly pretty mediaeval walled town, famous for its lavender. As the sun rises the valley lights up and the mountain silhouettes come to life; you coast effortlessly along tranquil lanes, passing fruit orchards, vineyards and remote churches nestled in the rolling foothills of the Friuli hills. Lots of traditional villages - Tavagnacco, Treppo Piccolo and Osoppo - will tempt you for lunch before you continue on through gentian-carpeted meadows to the historic regional capital, Udine. The birthplace of acclaimed C17 artist, Giambattista Tiepolo, Udine's honeycomb of brightly coloured, portico-lined squares between Piazza Liberta, known as 'the most beautiful Venetian piazza on the mainland' and Piazza Matteotti, boast fine shops, historic cafes and traditional osterias and are the very essence of this friendly city. For a longer day out Venice can be reached (90 mins) by train. If you fancy the idea of gentle pedalling from one pretty wine village to the next - with lots of traditional tasting trattorias thrown in - then this is the day for you! Enjoy lunch in mediaeval Pavia di Udine then it's on through sun-dappled cornfields and swaying vines to the C16 star-fort citadel of Palmanova. The highlight of today's cycle is, without doubt, the UNESCO-listed, ancient Roman city of Aquileia, a self-standing masterpiece of sacred art and historical treasure. Discover its immense archaeological site, magnificent C14 mosaics and dominant patriarchal basilica before heading down the spectacular Adriatic lagoon to the island town of Grado where the elegant 4-star Hotel Hannover overlooks the charming port, and is just 200m from the beach. It's easy to see why Grado is known as the 'Sun Island' and you may well be tempted to spend the day relaxing on its sandy beaches simply soaking up the lovely views over the sea to Croatia and Slovenia! But do make time to stroll the calli e campielli (lanes and courtyards) of the well-kept historic town. Here you'll find winding alleys, pretty little squares and traditional cason (old fishermen's houses clustered together almost one on top of the other). There is the option to cycle along the coast through the Cavanta nature reserve to the delta of the River Isonzo too. Please note that cycling helmets are compulsory in Slovenia for all customers under 15yrs. As we are unable to provide these, we strongly recommend that you bring your own. 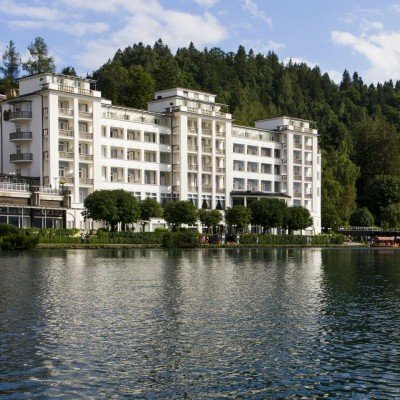 The Hotel Triglav is a historic hotel sitting above beautiful Lake Bled, dating back to 1903 it has an interesting history through the times of communism and the break-up of Yugoslavia. It has in recent years become renowned for its innovative take of Slovenian cuisine. All rooms are of a good size, there is also a lovely terrace where you can view the lake and enjoy a glass of wine from its extensive cellar. The hotel has a swimming pool and sauna both adding to the comfort. Sitting opposite the town of Bled you can follow a lake path to either visit the town or the impressive castle which towers over the lake. The hotel has a pleasing open aspect looking out over Lake Bled, there is a lakeside promenade accessed directly from the hotel. Sitting just a short walk from the centre of Tarvisio and at the foot of the winter ski slopes the Hotel Edelhof takes its influences from bordering Austria in its design and feel. The breakfast room and restaurant are more akin to an Austrian Stube and the rooms are delightfully decorated, a mix of elegance with an Austrian mountain feel. The food though is distinctly Italian with great local choices and good wines, the hotel has a small spa area (pay locally) and a garden terrace. The Locanda al Fogolar is a recently renovated bed and breakfast, with nice sitting areas including a veranda style room perfect for apertivos! The rooms are of a good size and have a clean, modern feel. It is situated just a two minute walk from the historic centre of Venzone a town completely rebuilt from original stones after an awful earthquake in the seventies. The hotel has an Osteria attached to it which offers great local cuisine, there are a good choice of restaurants in the town. 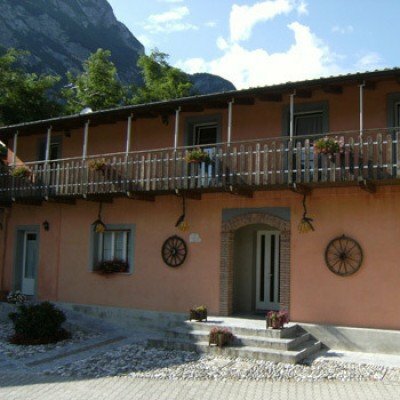 The Agriturismo Casali Scjs is a quaint farmhouse in a rural setting. There is a restaurant next door or it's around 400m into Venzone. A national monument, Venzone is a great example of architectural renovation. The Tiere Motus is a museum that retraces the history of the town and especially of the earthquake and the subsequent reconstruction work. 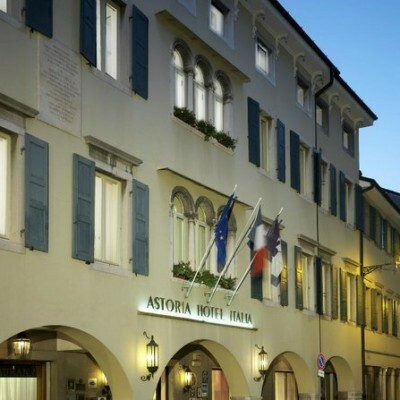 The Astoria hotel sits on one of the squares in the centre of the old town of Udine, the hotel building dates back to the 14th century and has been owned by many noble families. The rooms are large and offer all modern amenities, the large breakfast room opens out into a small garden where breakfast can be taken in good weather. The city's historic quarter is on your doorstep with a huge choice of restaurants, and the train station is just a 20 minute walk away. The superior room offers more space, the Junior Suite offers more space with lounge area and the Suite offers more space with a separate lounge. This lovely 3 star hotel is in a quiet spot in the corner of the piazza which is the heart of the geometric perfect town. With the square on your doorstep, there is a great choice of restaurants and bars, and it is easy to explore the town. It has one of Italy's best pizzerias. The rooms are nice and modern and the hotels small breakfast area has a well-stocked buffet. The Hotel Hannover is in the perfect position for visiting the town of Grado, situated looking over the harbour and on the edge of the charming old fishing quarter. It has good sized rooms some with balconies, others with views of the harbour, and a nice breakfast room and harbour side outside terrace. 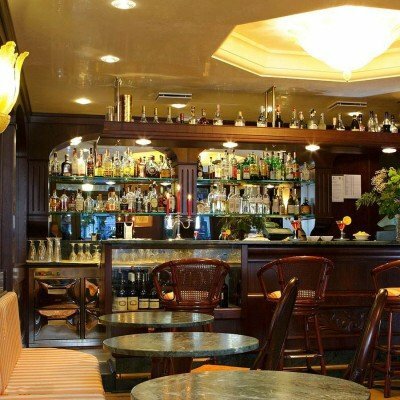 The restaurants of the town are within easy walking distance of the hotel. 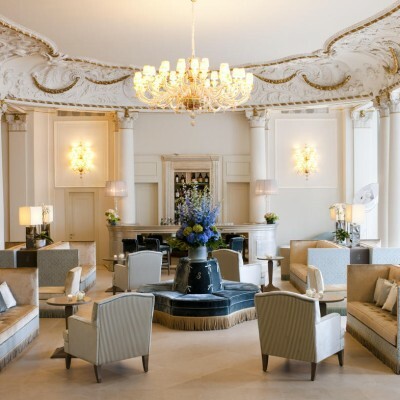 The Grand Hotel Union is one of Ljubljana's most prestigious hotels. Built at the turn of the century it was considered one of the finest hotels in Europe at this time with its lift, central heating and telephones (a rarity in 1905). Its hall was used as the city's concert hall for many years and its clientele has traditionally been associated with the arts. The hotel has hosted many famous pianists and singers over the years. The rooms are all furnished in a contemporary style with satellite television, telephone and air-conditioning. The hotel has a swimming pool on the top floor that has an appealing glass roof dome. Transfers included from Ljubljana airport at 16:45, and back to Trieste airport at 10:30. Really enjoyed the cycling almost all on excellent cycle tracks away from cars. The hotels were great a nice mixture of smart classy places, mixed with some lovely homely, welcoming and well - thought out smaller places. Very pleased; we really enjoyed it! This was undoubtedly the most spectacular holiday of our 15 with Headwater. The scenery coming down from the Julian alps along the line of the old railway was unsurpassed. If you are a beginner cyclist the route is great but the bikes make it feel hard as they are too heavy and too highly geared. Otherwise the route is fantastic and well signed. The scenery is great all of the way. Saturdays and Wednesdays from 1st May 2019 to 28th Sep 2019, for 10 nights. All dates are subject to availability, please contact us to check. Due to the tailor-made nature of our holidays, we need a little more information in order for us to check availability for Julian Alps to the Adriatic Cycling. Simply complete the form below and a member of our sales team will contact you (when it's most convenient for you) to provide availability information, travel options and an accurate price. Of course there's no obligation, but if you do wish to proceed with a booking they will be on-hand to assist you throughout the process.